Considering Cancun is only 40 years old, this Caribbean paradise has had a huge popularity surge. Its white sand beaches and clear blue ocean draw four million visitors each year with an average of 190 flights a day. Just because Cancun is one of the most frequently traveled destinations around the world, that doesn’t mean it’s out of reach for those of us who are looking for an affordable vacation. 1. Become a Facebook fan or Twitter follower, and follow your favorite, second favorite, or even not-so-favorite hotels and airlines to get current hints on contests, deals, and more. 2. Consider paying a little extra for the all-inclusive which can save you more money in the long run if you usually have a separate budget for food. 3. If you decide not to take the all-inclusive option, then stock up on goodies and essentials at the local supermarket. If you eat out for lunch, it’s more affordable than eating out for dinner. 4. Add some extra spending money to your budget for a special night out at one of the many fabulous restaurants or exhilarating nightclubs in the area. 5. Venture into downtown Cancun, north of the hotel zone, and take advantage of the exchange rates and lower prices for locals. Remember, the American and Canadian dollar go a long way in Mexico. 6. Take advantage of affordable vacation packages that give you some extras for booking your vacation with them, such as attraction tickets and free airport shuttle transportation. 7. If you can be flexible, travel during low season. Airfare prices are often dramatically higher during peak season, which tends to run from December to April. It is also sometimes more affordable to fly during the middle of the week. 8. Use sites such as Kayak or Air fare watch dog to pick up some great deals on flights. 9. The key to traveling on a budget is patience, research, and flexibility. Start planning your trip ahead of time to take advantage of special offers. 10. 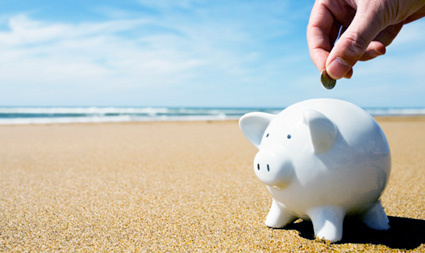 Don’t let your budget stop you from enjoying your vacation. Remember, you’re here to have new experiences. Enjoy your vacation and have fun!